Thirty five active representatives of European youth were trained in the basic methodology of oral history and recent history on July 10, 2009 in Prague. 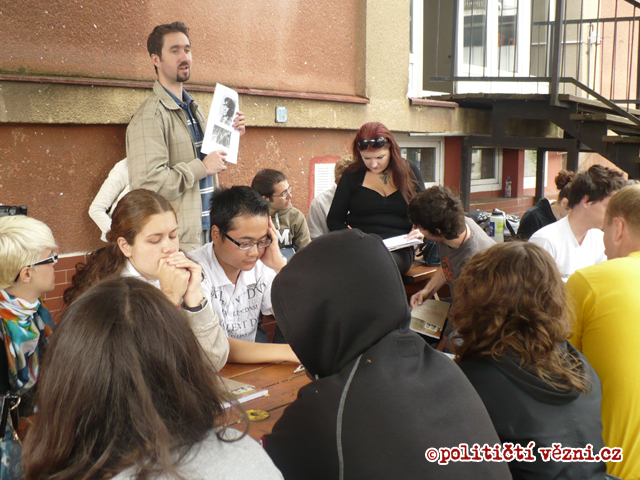 Political prisoners.eu held a creative workshop during the Summer University of AEGEE Prague. 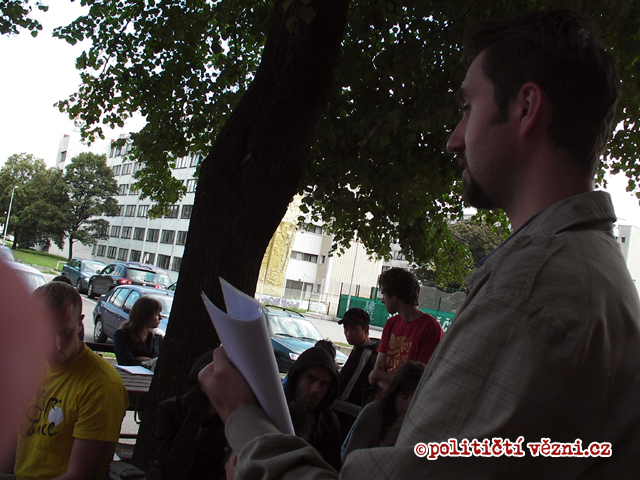 Students from all over Europe were introduced records and interviews of former political prisoners, information about historical events in former Czechoslovakia and Soviet block. Workshop facilitators brought and transmitted experiences from eyewitnesses to the young generation representatives. 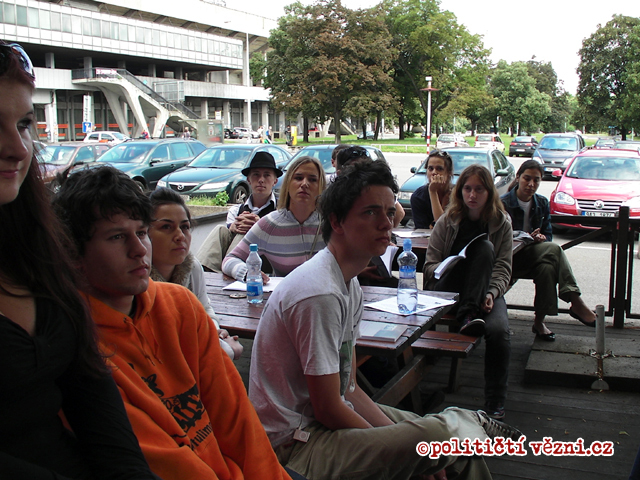 Having young people reflect and discuss memories of political prisoners during the workshop was one of the ways how to bring them closer to the experience of life under Communist regime. It created a connection between the young and older generations. An important part of the workshop was an introduction to historical events through experiences of individuals from post-war Europe - the history of Stalinism, mass persecution, show trials, mass imprisonment etc. 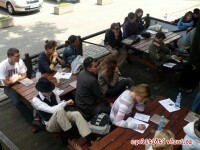 The objective was to make a connection between history and individual experience of "average" people and present this experience to young generation. Sharing memories and knowledge between eyewitnesses and young people was a crucial aspect underlying the whole idea of our volunteer initiative.